Designing and building websites and software comes with a long list of industry terms and acronyms. To anyone new to the indtustry this new language can be pretty intimidating. Lets start with UX and UI, what do they mean? Both terms relate to the design side of the website and software development process. UX translates to User Experience Design and UI means User Interface Design. Both terms relate to designing the way that a user will interact with the website or piece of software, so whats the difference? User Experience Design encompasses all of the research, prototyping and testing of the functional side of the picture, where as User Interface Design will determine how the pages will look. The design process should always start with User Experience Design as this concerns what the user wants and the planning of who they will interact with the pages. What content will go where and how the user will navigate through from one section to another. The User Experience Designer will want to interview users to understand who the market for the tool or website is, what motivates them and what goals they are trying to achieve by coming to the website or tool. They will look at competitors and industry standard rules before beginning their design process. User's goals and the steps needed to achieve them are mapped out into user journey flows, and these are placed into sitemaps and feature requirements. These are then incorporated into the system design using wireframes and prototypes. 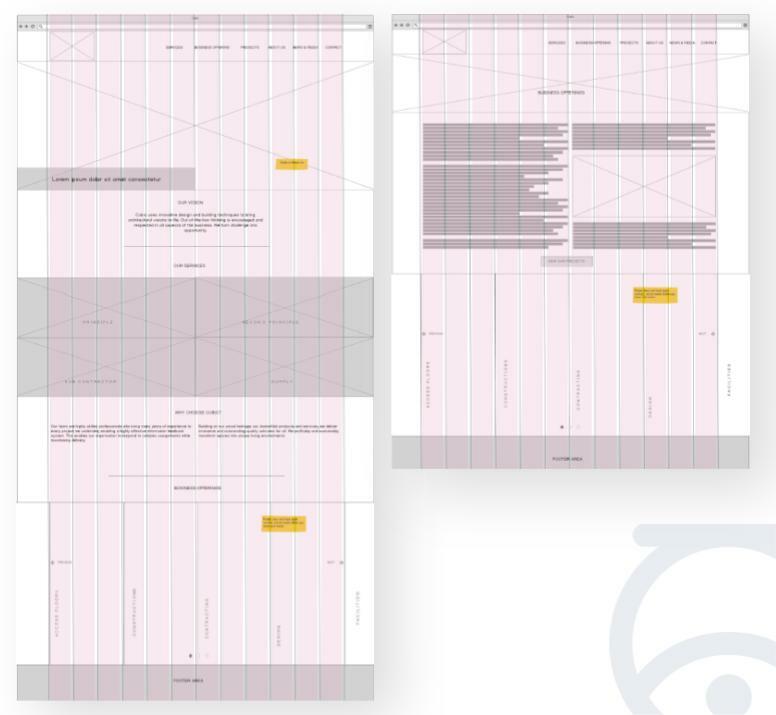 Wireframes are sketches of what the individual pages will look like. Starting with paper or whiteboard sketches to test initial ideas, the wireframes will eventually be created in a software program such as Axure, Sketch or UX Pin and the buttons and navigation may even be linked up so that the function of interactions can be tested by the client and users. This testing validates not only the designs but the the project concept itself and can save significant time and effort by focusing on and perfecting features that users really care about. As mentioned above the User Interface Designer cares about how the system will look. They are also sometimes referred to as Graphic Designers. They will focus on the finer design details of the system as well as the branding components. 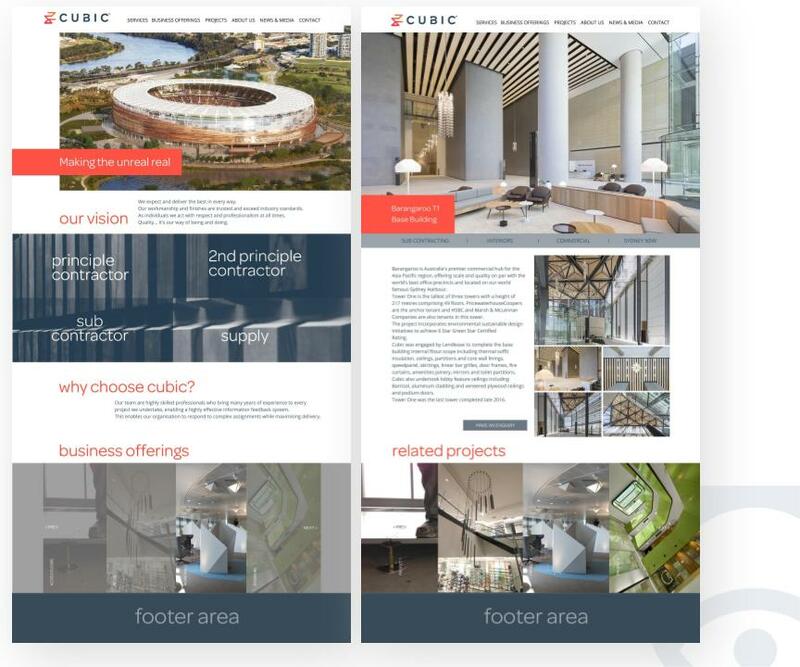 Both the Interface Design and the Experience Design will have a huge impact on whether or not the client's users will enjoy interacting with the system so it is important the user information and research is shared with all team members. The User Interface Designer will work on how the branding is incorporated into the design, logo use, font style, sizing and weighting, and colour use etc. Using these Graphic Design elements the Designer will guide the user through the system, drawing the user's eye to important information. By understanding the goals of the user at each stage the Designer can highlight navigation and CTA (Call to Action) buttons etc. By always keeping the user in mind, and testing and validating with them often we create systems which users love to interact with. We focus on helping users achieve their goals in the simplest possible way which means we don't get bogged down in less important features. This saves our clients time and budget, and keeps users happy. Get in touch today to discuss an idea or a problem which you are facing and find out how we can help you solve it.